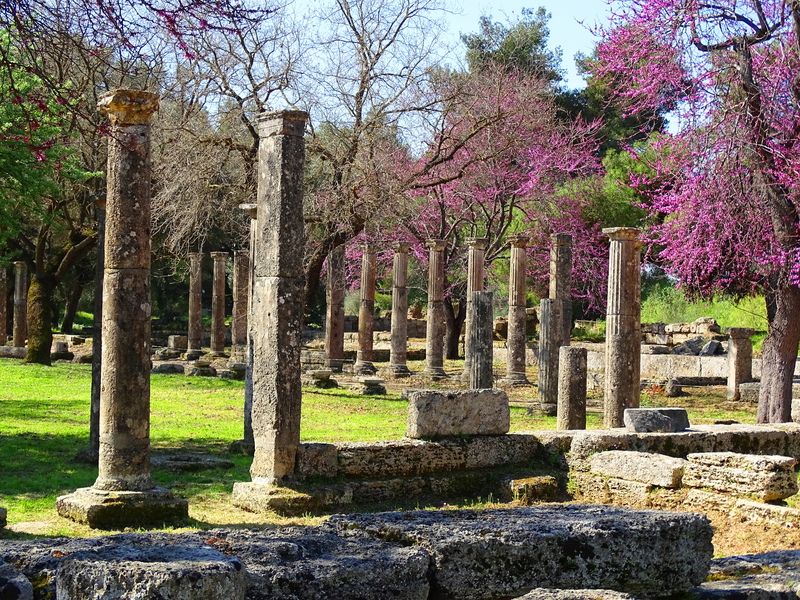 Olympia Greece is the birthplace of our modern olympic games and is a UNESCO world heritage site. Touring the site is an incredible experience. Only males could compete in the Ancient Greek Olympics. They slathered each other with olive oil and competed naked. 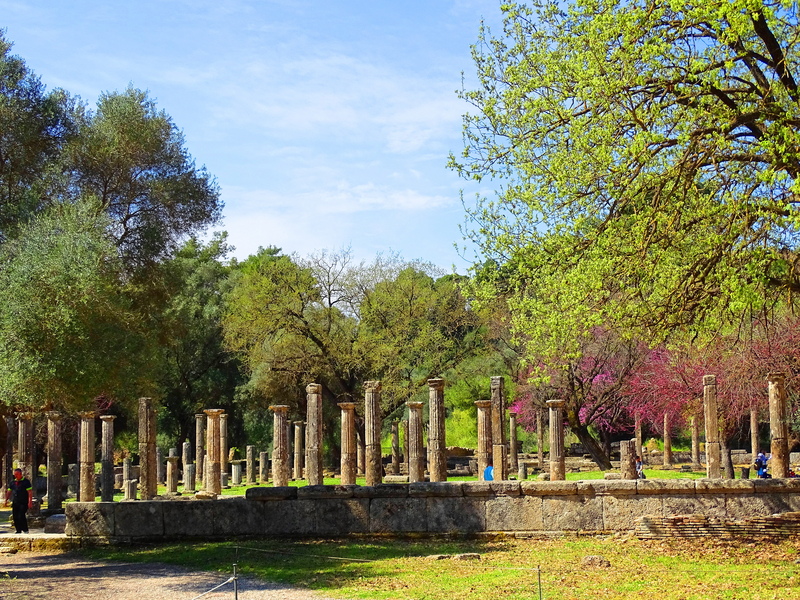 My husband thought my last post was a tad boring, so I decided to ramp things up a tick with some factoids I learned from our Greek historian as we toured Olympia. 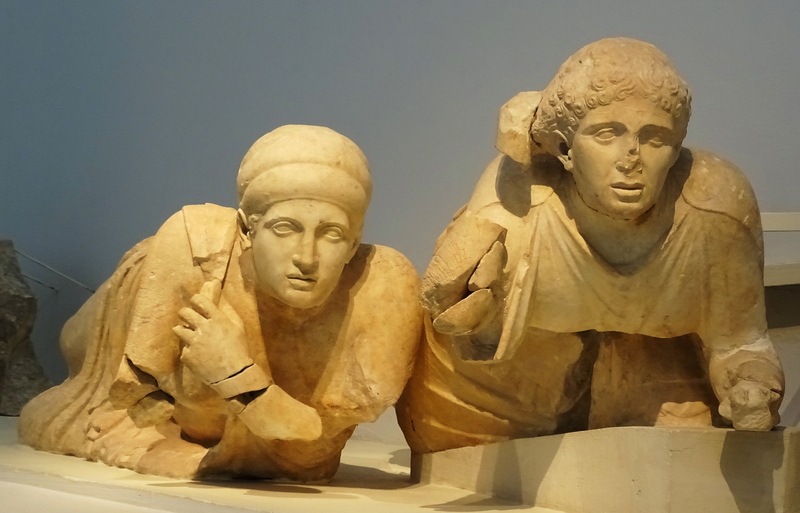 Continuing with her narrative, the historian explained that married women were not allowed to attend the games, and if they snuck in, they could be put to death by being thrown off Mount Typaeon. (I don’t know if this ever actually happened.) However, young, “maiden” females were allowed in to “observe”, and prostitutes could, and did attend, apparently doing more business during these olympic days than they typically did all year-long. Some of this I learned on my own afterwards because enquiring minds do want to know, and the historian sort of skidded over some of it. The historian clarified the word gymnasium came from Ancient Greek and means males exercising naked. Females did apparently have their own sort of more minor, separate sporting event at Olympia, but they wore shifts, and only exposed one breast, imitating the Amazons. I wonder if they were allowed to throw their husbands off Mt. Typaeon if they snuck in? Or let single, young, males, in to “observe”? What would you guess? 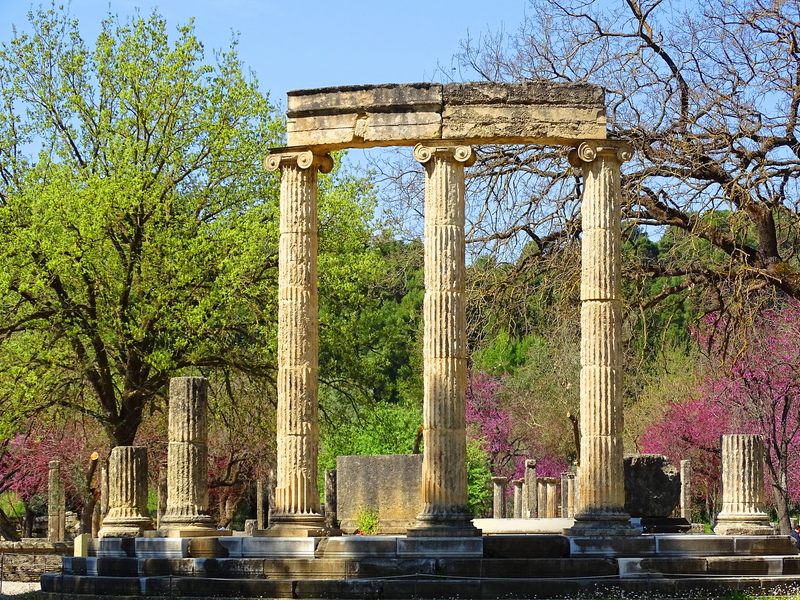 The first olympics were held here in the 8th century BC and the first buildings were constructed in 600 BC. The Temple of Zeus was considered one of the seven wonders of the ancient world and is the oldest known Doric building in the world. Olympia is extensive and takes a full day just to walk. 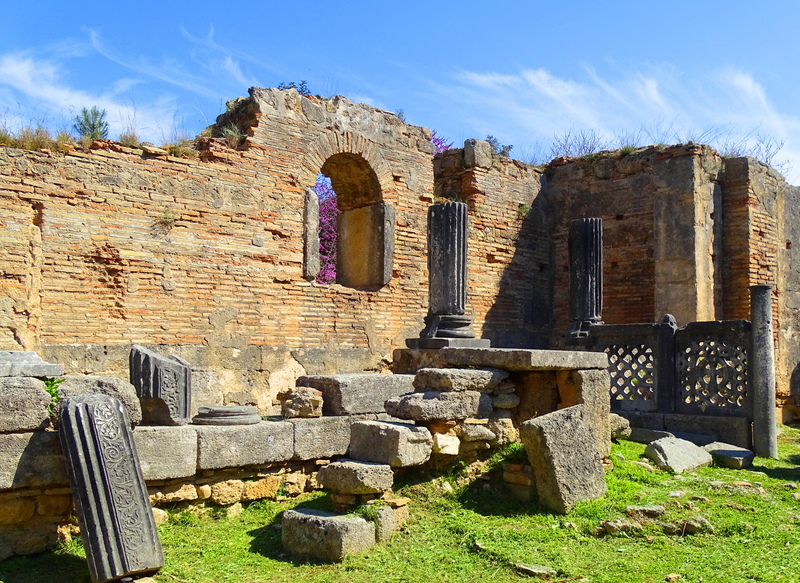 There are twelve houses of treasure, a hippodrome, a stadium, the Paelastra or wrestling school, the Phillippieion an Ionic circular memorial, vaulted tunnels and walkways, a gymnasium, a museum full of statuary and relics, and much more. 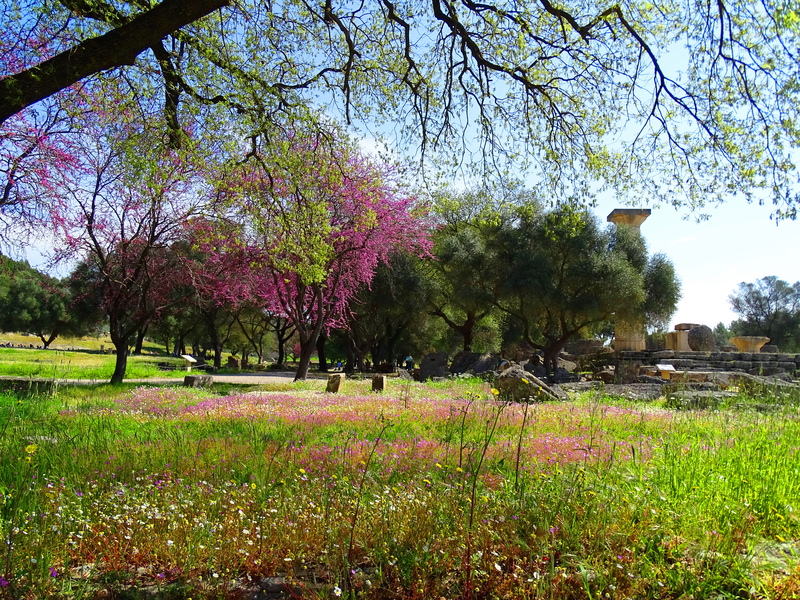 It was spring when we toured, and the Judas Trees and wildflowers were just starting to bloom which made it all even more incredibly beautiful. 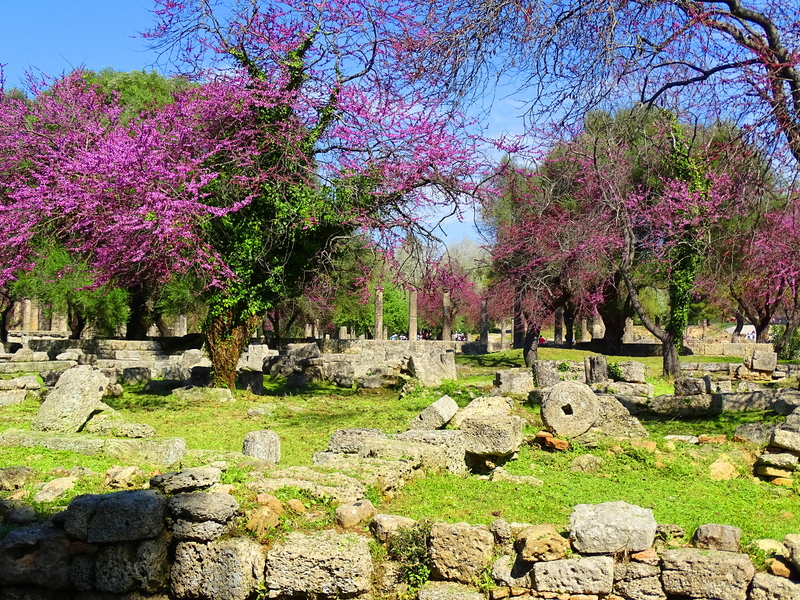 April is said to be the best month to visit ancient sites in Greece due to the stunning spring flowers.